Summer is over. White shoes and rosé are tucked away for the season. But fret not. We’ve been scouring the interwebs for the latest and greatest things we think you should know about. Apple’s Big Event on Wednesday, 9/9 promises updates on new iPhones, new Apple TV, new iPads…maybe a hoverboard? MacRumors lays out what to expect. Watch the full event livestream here. We’ll be live tweeting, making predictions and throwing shade. Google’s research experiment, Google Deep Dream, converts photos into tripping nightmares based on AI software which recognizes patterns from other images on the internet. 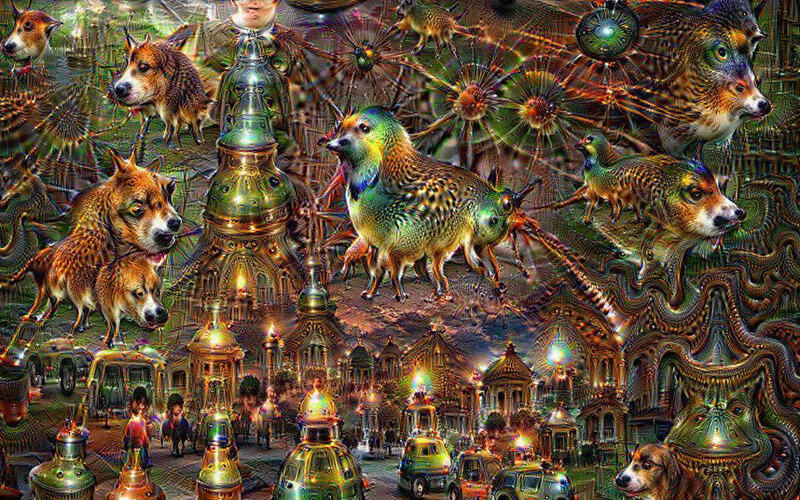 Things we’ve learned from Google Deep Dream: the internet loves cats and penises. Hey, Grey Lady! Come on down to Gowanus if you want to see what real “style” is. These Tumblr dudes have nothing on our agents. The Japanese city of Omomichi has created an interactive street map for cats. All we have to say is, it’s about time! Should we make one for Brooklyn? A Korean man has spent over $100,000 to clone his beloved dog. Tech Insider goes inside the “Puppy Clone Factory,” run by Dr. Woosuk Hwang, the “king of cloning”. We know how this goes. First, it’s puppies and then we’re living in an episode of Orphan Black.